DestinyQuest Infinite on sale — 25% off! Check out our Fighting Fantasy-style gamebook from Michael J. Ward, DestinyQuest Infinite! On sale until February 11, 2018. Our new game, Strayed, is now available for Android and iPhone! Ever had a lonely night where everything seems just a little bit off? 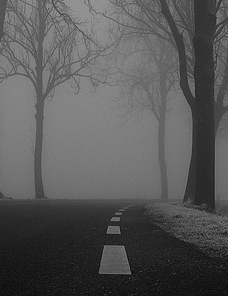 Imagine driving through darkened woods, all alone but for the thrum of the engine and the scratching sounds of something - you're not quite sure what - in the back. What happens next depends entirely on you. Adventure Cow is a site for making interactive stories. You're just in time - we opened the beta of our new interactive story builder, StoryLab! Learn more and build your own games here. You can also browse the collection (categories on the left), submit a link to your story (New Story), or check out our latest games, Strayed and DestinyQuest Infinite.